The Bank for International Settlements (BIS) is an international organization which was formed in 1930 with the objective of serving the Central Banks of various nations, aiding them to develop an environment of monetary and financial stability via concerted efforts to bring about International co-operation. The Bank for International Settlements popularly termed as “Bank for Central Banks” has its headquarters in Basel, Switzerland, came into being consequent of the provisions of Hague Agreement of 1930. Being one of the oldest international financial entities it has around 60 member Central Banks, representing various nations from around the world. To function as agent or guardian with regard to international financial operations. 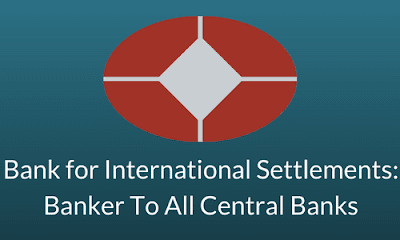 Though a banker to Central Banks around the world, Bank for International Settlement makes most of their work free of any fee, which includes analysis of monetary and financial stability issues as well as International Banking and financial statistics. BIS as a bank are not into any banking activities such as acceptation of deposits or rendering of any financial services to private or corporate enterprises. General Secretariat which provides the entire Bank with the required organizational support in terms of human resource, technical support as well as services. The Representative Office for the Americas in Mexico City. Bank for International Settlement has become quite renowned for its adherence to the principal of monetary and financial stability especially through the much renowned Basel Process which is based on three key features of Co-Location that ensures co-operative associations between various governance structures as well as committees of Bank for International Settlements, Flexibility and openness in the exchange of information that realizes the motive of financial stability, and support from BIS via its own Financial stability Institute(FSI) in the field of Economics, Banking as well as regulatory frameworks. It also hosts the much celebrated Secretariat of the Basel Committee on Banking Supervision and played quite a pivotal role in the launching of Basel Capital Accord of 1988, Basel II as well as Basel III norms. Being the stalwart among various International Financial Institutions BIS has carved out a niche for itself among them especially with regard to the objective of ensuring financial and economic permanence.